so another random post...this was really a beauty. sitting on the end of the street at the garden grove main street show a while back. they must like to park it here; if you search for 1955 imperial on google, this same car in this same location pops up first in the images. not taken on the same day, but interesting, since its on some german website. tourists? pure coinkydink? whatever. 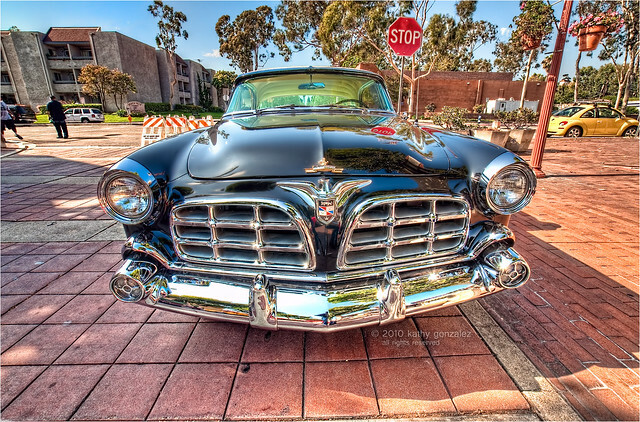 i do remember seeing the owner of the '47 desoto leaning against a wall nearby talking to somebody, yet don't remember seeing the desoto that day...wonder if this one is his too? maybe just a coinkydink? lol. anyway, i've been busy. summer is almost over and i'm trying to catch pieces of it before its too late, so excuse the few days between posts; i'm not always in the same place as my computer.